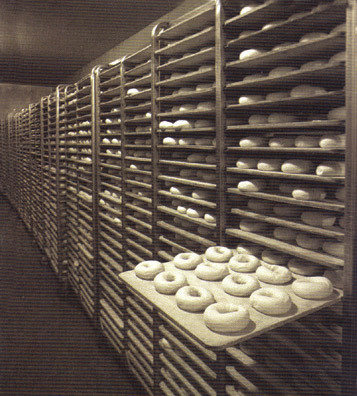 These boards are ideal for all types of hard rolls and bagels and are highly resistant to discoloring or slintering even after prolonged periods of heavy commercial bakery use. Each board is constructed from 1/16″ veneers, bonded with a water and boil proof glue. Final finishing includes sanding and rounding all corners for easy placement into standard bakery racks. Additional machining available such as eased edges and engraving. NAP-PB1826 200 pcs. (1 pallet) 3/8” 7-ply 18”x26” $15.50/ea. NAP-PB1826 600 pcs. (3 pallets) 3/8” 7-ply 18”x26” $15.00/ea.